Welcome to DeSola Glass! 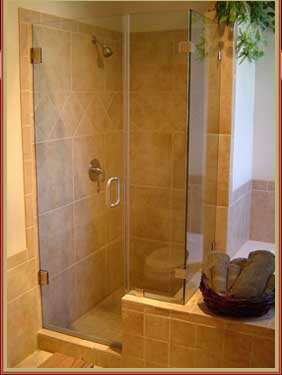 We've become Northwest Houston, TX favorite source for glass shower doors and enclosures. From standard framed showers to an elegant, heavy frameless style enclosure, deSola Glass offers uncompromising quality plus dedicated personal service. Our 20+ years of experience ensures that your shower installation is precisely measured and fitted by our competent professionals. Plus we guarantee all our work with an iron-clad 1 year warranty. Customer care and satisfaction are fundamental parts of our commitment to you! Complete Services: Our family-owned company and walk-in showroom store continues to serve the greater Houston, Texas area. Our dedicated and experienced craftsmen can provide customers with custom, full-service new installation and complete, on-site replacement of bathroom shower stalls. We can also install and repair baths with your choice of curved, seamless, framed, frameless, corner angle entry and sliding inline glass doors as well a variety of door hardware finishes and installing options. Got questions? Call: 281-763-2555. Buy Accessories Online: Both our customers and new website visitors can conveniently purchase shower maintenance accessories as well as selections from our mirror and picture hanging hardware line of products. Plus you are always assured of receiving the same quality merchandise and great customer service. »» Visit the DeSola Glass Store today! Out-of-State Callers: Our company staff can ONLY provide information regarding our shower installations to local Houston, Texas area residents and surrounding communities. Thank you! For Homeowners remodeling bathrooms, read about our easy-to-clean shower glass. We offer both custom and discount options too; each of which can make conversion of a plain bathtub into a more attractive walk-in space a pleasant experience. If you're ready for a change, see our one piece bathroom stall showers, now matching more creative tile colors than ever before to surround your bath in beauty. Be sure to ask about the new manufacturer line of clear glass products which use a patented process to protect glass bathroom screens from water spots -- making cleaning and maintenance a trouble-free task. Our shower accessories are a must! Shower Doors Texas. Copyright© 2005 - 2011 ShowerDoorsHouston.com. All rights reserved, DeSola Glass.